On this week’s episode, we are continuing our Valentine’s Day tradition by talking about a romantic game with Rhythm Master Paul and Soul Sister Yarn Sorceress Chandra. The romantic game being discussed? Why that would be the 2017 (that counts as “old” right?) 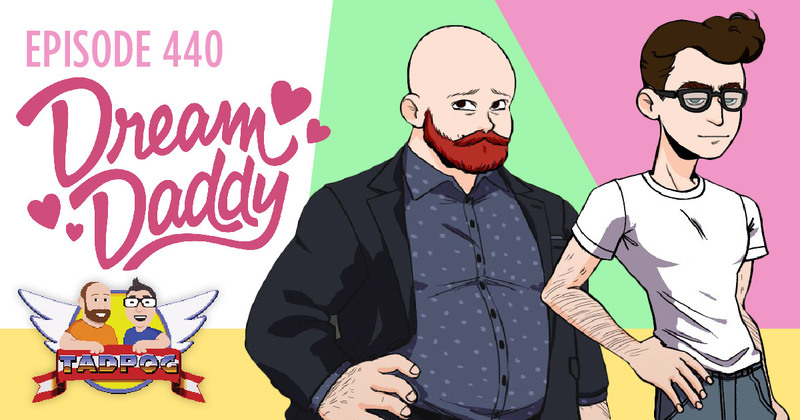 visual novel Dream Daddy published by Game Grumps. But that’s not all! We also eat Bad Dog spicy jellies and there is a “TV Dads Quiz”.